My mouth is watering just looking at this candy treat! 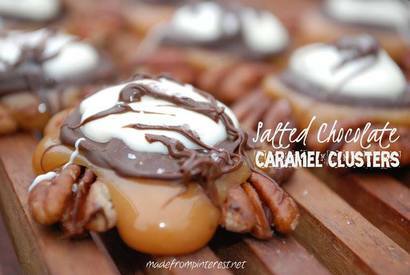 I made these Salted Chocolate Caramel Clusters and they turned out fabulous!! I am expecting people to think I am a professional candy maker when I bring these into work tomorrow. (Secretly, I have always wanted to be a professional candy maker.) People will think that you too are professional candy makers when your clusters turn out like this!